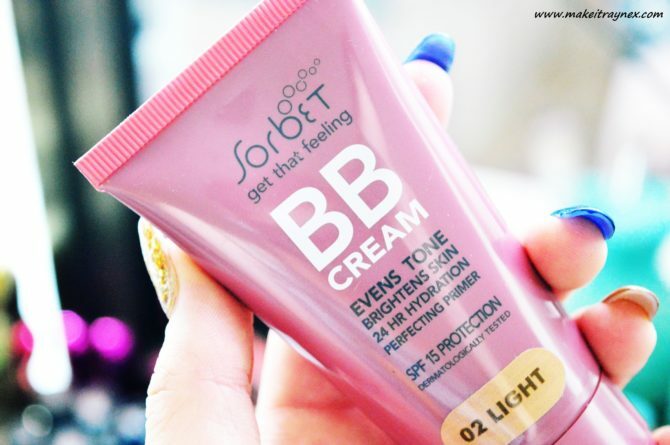 I posted an image of this Sorbet BB Cream on my Instagram two weeks ago and it got a GREAT response. So many ladies were commenting how they adore this product and that they are pleased that the product is back. It was either discontinued for a bit or it was out of stock for ages. So I was waaay excited to test it out. I picked up the shade 02 Light as it seemed to be the lightest shade available. I know, the 02 part should have given me my first clue. Turns out that there is a shade named Light which is actually the lightest available shade. I did a full on first impressions of this BB cream on Snapchat and, again, I had tons of girls Snapping me about how much they love it and which way they find is best to use it. When I first saw the shade I thought it would be too dark. The tube is opaque metallic purple so you cannot see the exact shade unless you swatch it in store. So I thought it was slightly too dark but once applied onto my skin it was beautifully blendable and the shade ended up being perfect. So, when picking this up in store, do keep my escapade in mind. If I had taken the shade Light it would have ended up being too light. And, with us going into Spring/Summer now, it doesn’t hurt to think ahead when it comes to foundation shades. 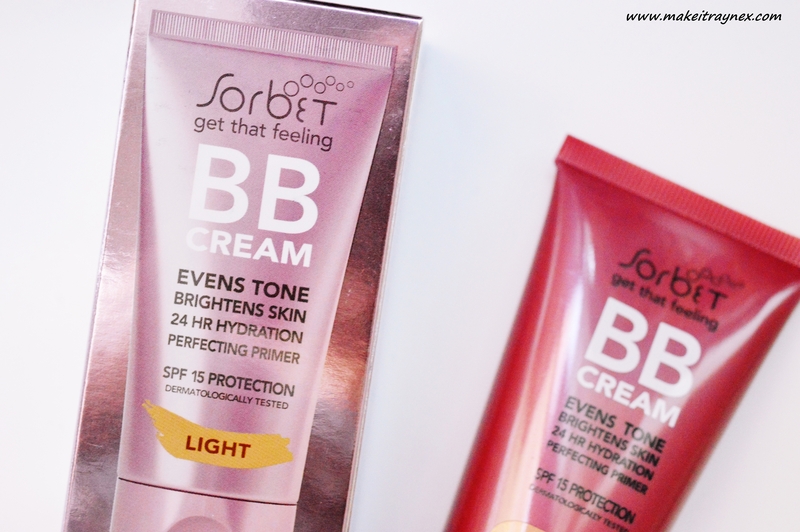 What impressed me most is I always find a slight patchiness with most BB and CC creams but I didn’t with this Sorbet BB Cream. I just find that the product almost separates on your face and the edges of those patches slightly oxidise. As I said above, it blends beautifully and applies beautifully with both a make-up sponge and a duo-fibre brush. Once setting powder was applied on top of the BB cream. It is advertised as a product to hide blemishes and imperfections. It evens out your skin tone nicely and gives as much coverage as a lightweight foundation. Compared to a foundation, this beauty is less than half the price. Only R119.95 for a 50ml tube. If you see one in store, grab it! I have been checking online and it is constantly sold out on the Clicks website. After three/four hours of wearing the BB cream. Overall the formula sits very nicely on the skin. I would say it lasts around 8 hours before starting to look like you need to dab on some concealer. 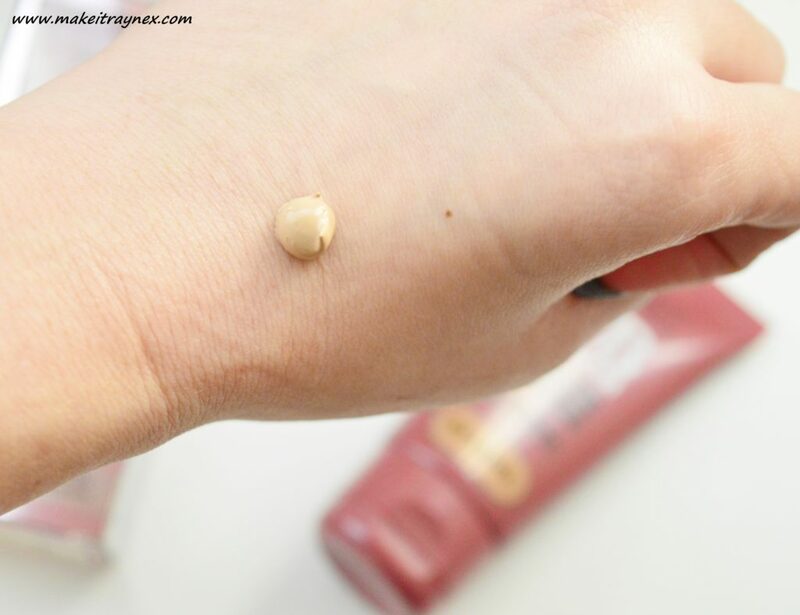 Surprisingly, you can achieve either a dewy or a matte look with this Sorbet BB Cream. I have been wanting to get into the dewy skin look but I always feel “sticky” when trying it out. 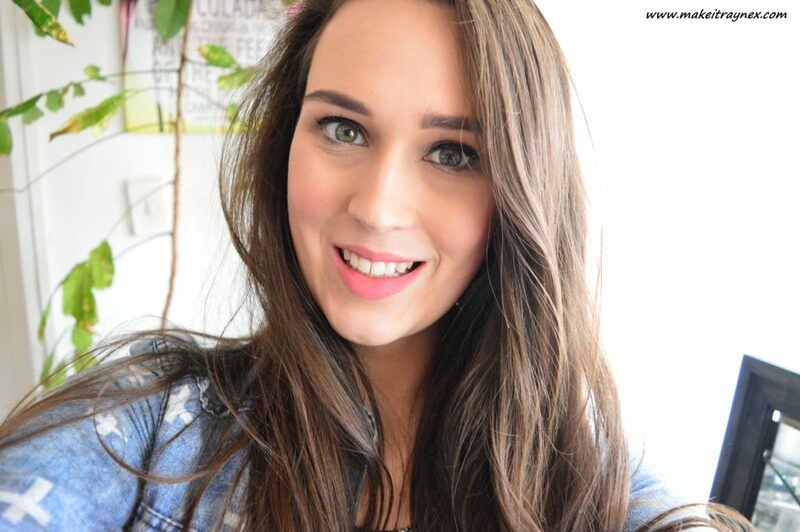 Without setting powder, you easily achieve that look with this BB cream. I really love that you can use it for both look options. The Sorbet BB Cream is available from all Sorbet Salons nationwide as well as selected Clicks stores. I used to use this product RELIGIOUSLY! I have tried so many BB and CC creams over the years and none have been as good as this, not even the Bourjois CC cream that I like now. When I asked at a Sorbet Salon about why I could no longer find the light shade, she said that they were apparently reformulating the product. I was so worried that it wouldn’t be as good, and your post has now made me super happy that it’s just as wonderful! Going to pop into a Clicks/Sorbet and grab me one of these baby’s!